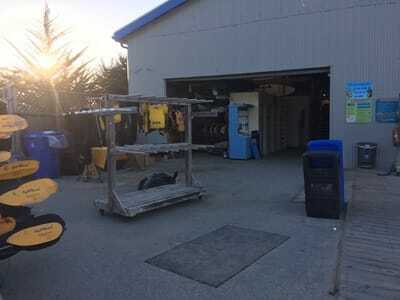 Parking: Parking lot at address above, $1.50/hr. Free 2-hour street parking available in the surrounding neighborhood. 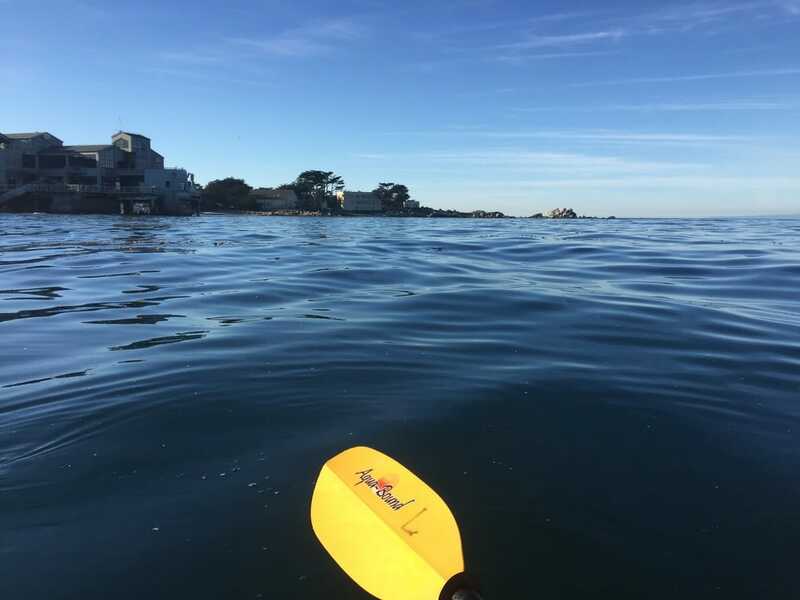 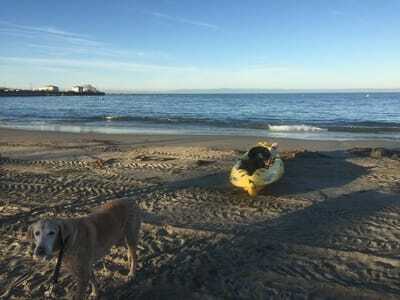 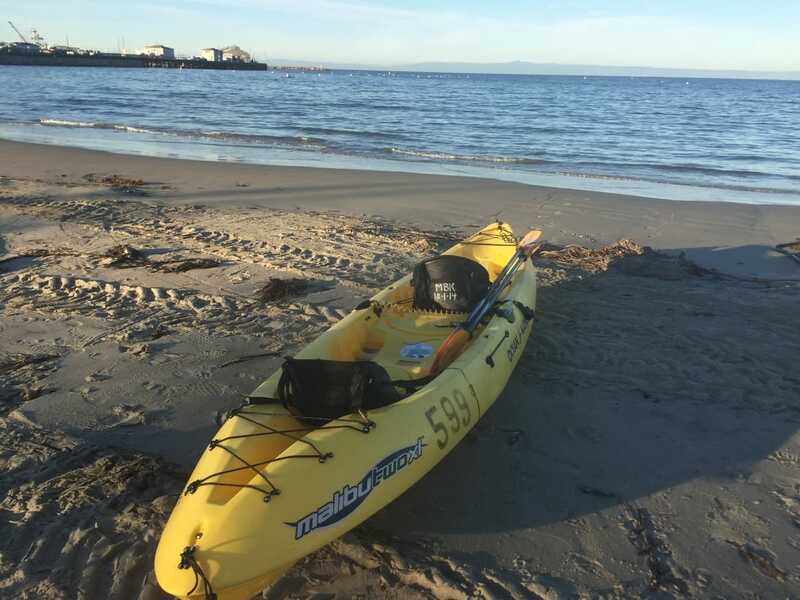 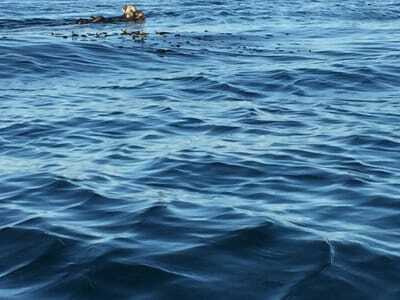 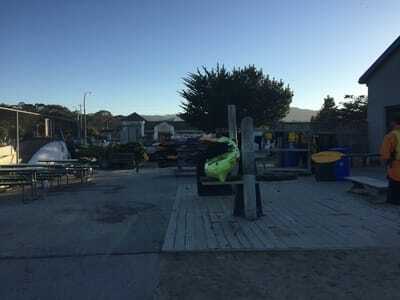 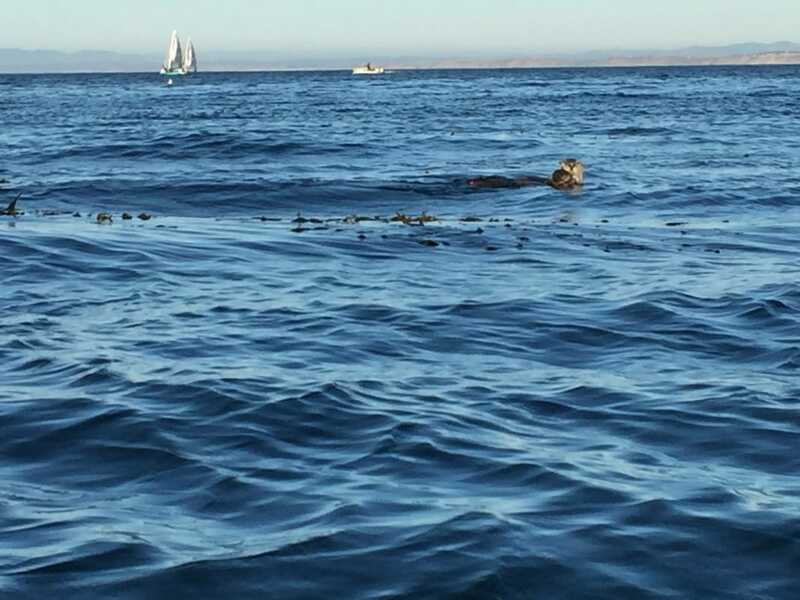 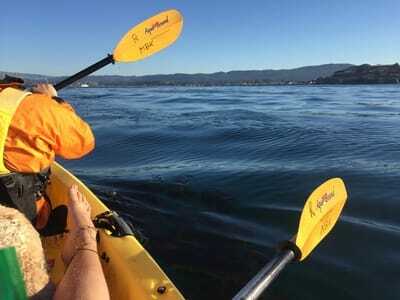 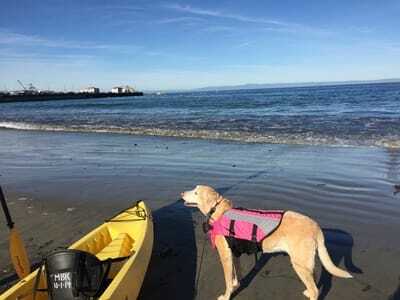 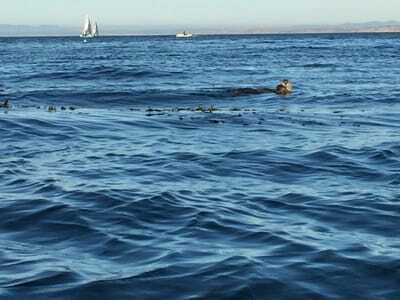 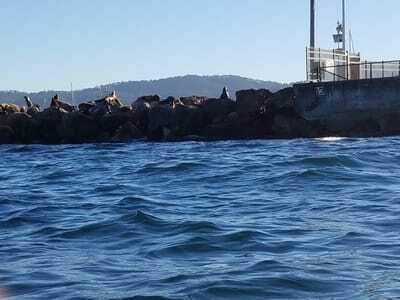 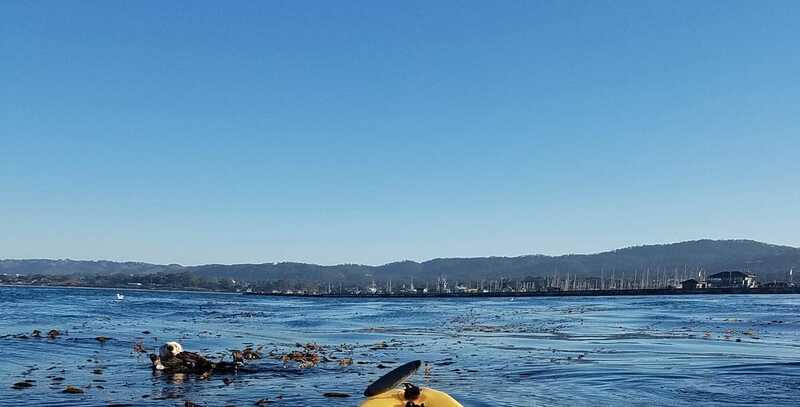 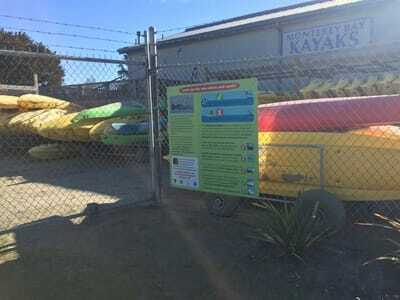 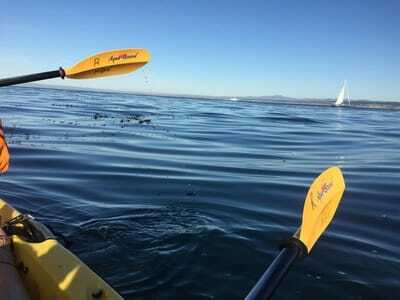 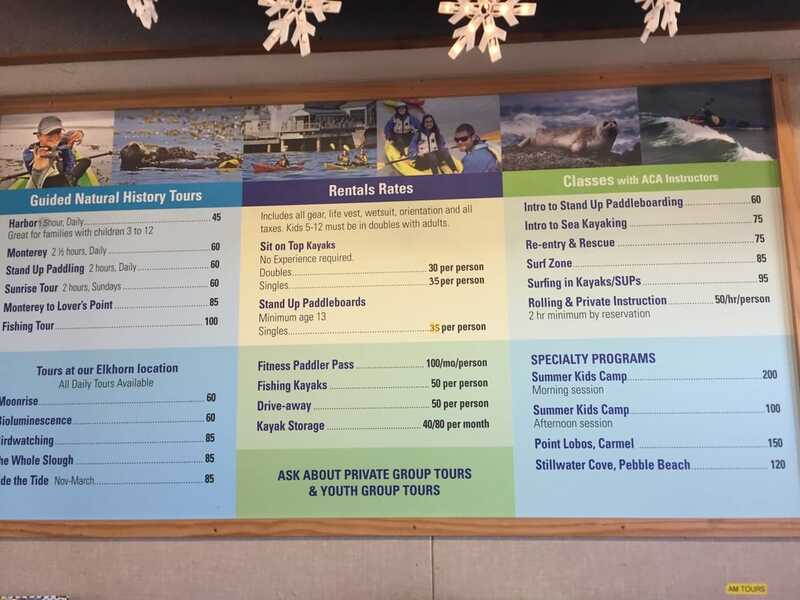 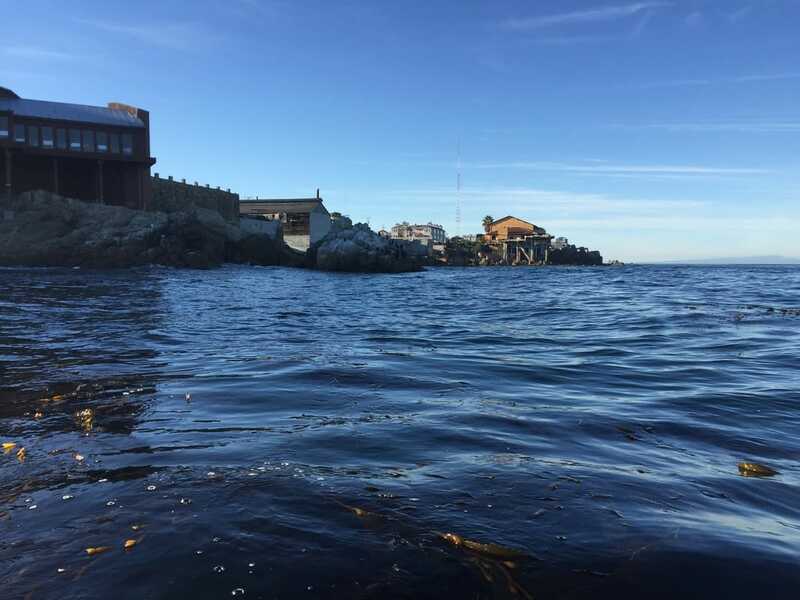 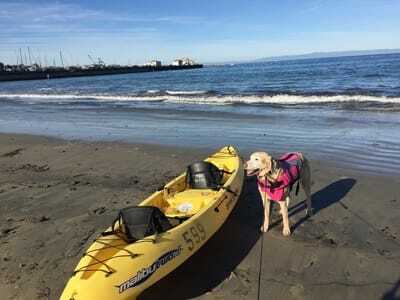 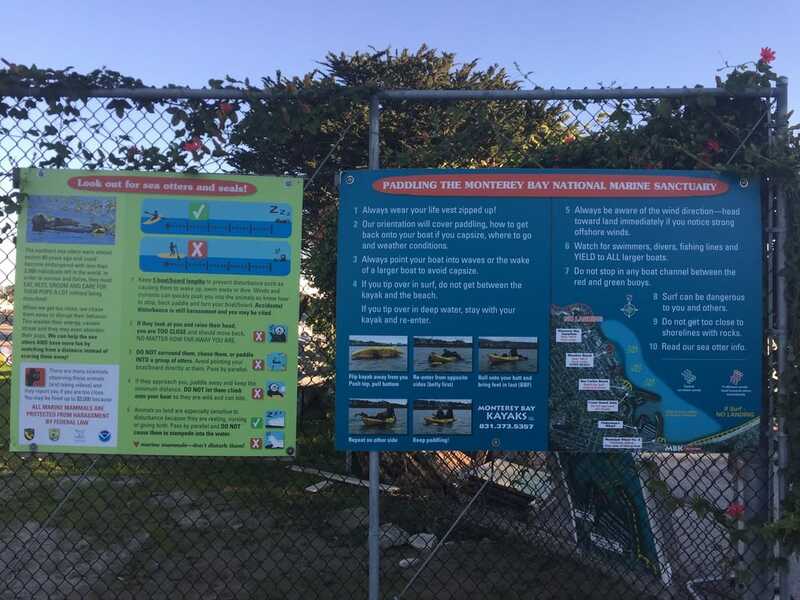 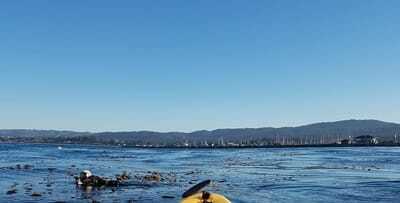 Description: Paddle the beautiful waters of Monterey Bay and get up close with seals and sea otters. 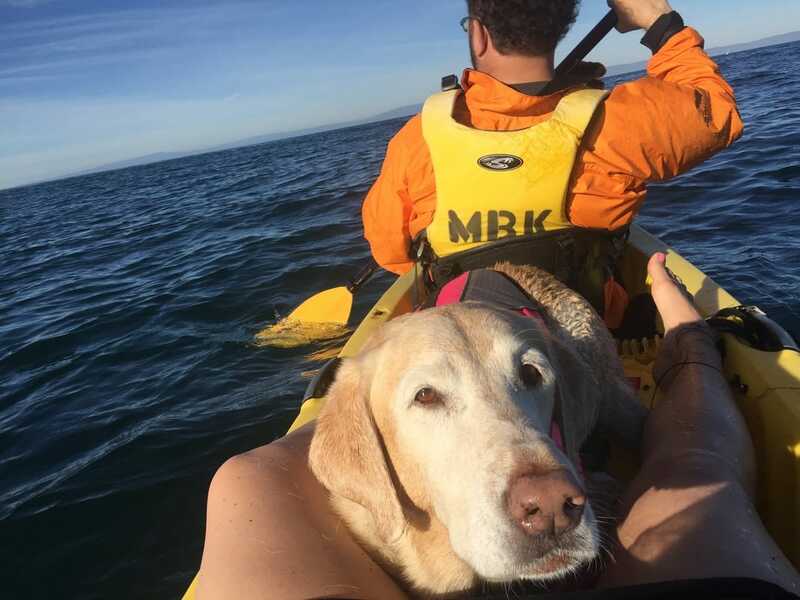 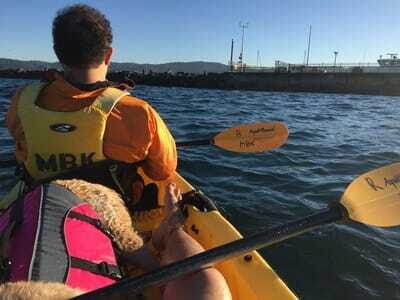 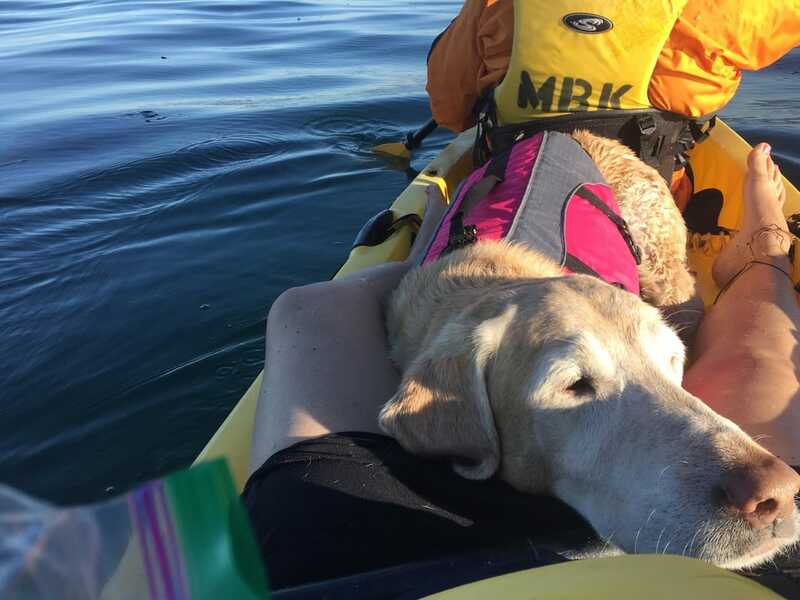 Bailey and I have been kayaking several times, but this was definitely our favorite experience, mostly because floating by adorable napping sea otters was an unforgettable experience. It was a cold day when we kayaked, but the sun was out and we didn’t feel like we were freezing during our trip. 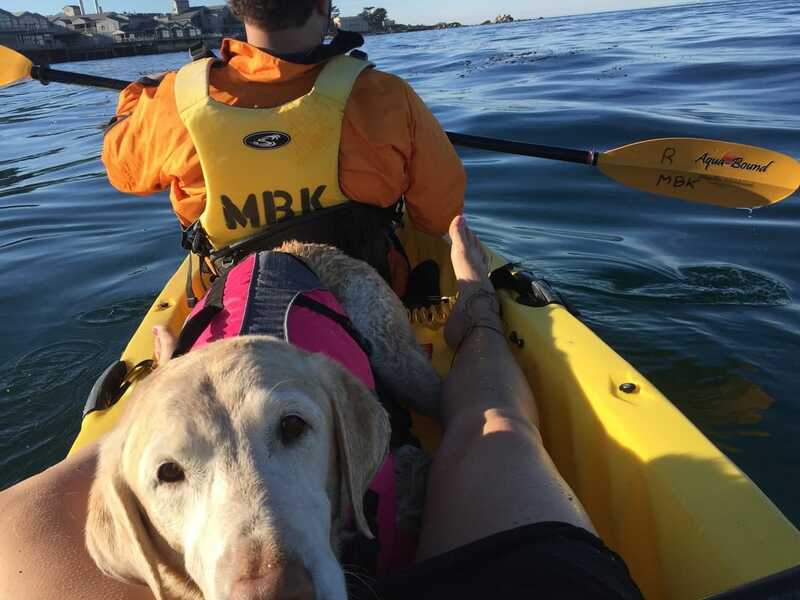 Bailey, my friend and I went out on a double sit-on-top-style kayak, and Bailey fit perfectly in between us. We started on the beach and paddled into the harbor, and then out and around it to a beach where we were told we could dock and relax. 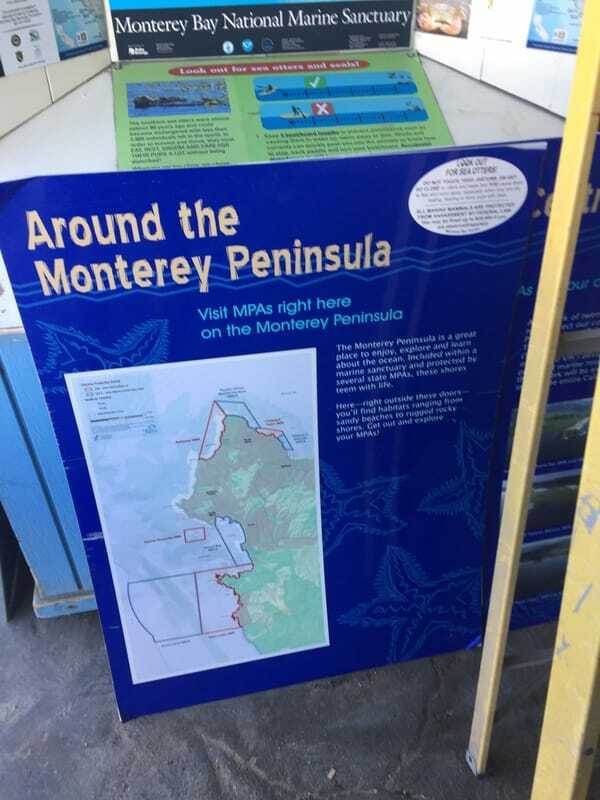 We then made our way to the Monterey Bay Aquarium, where they ask that you don’t paddle past. 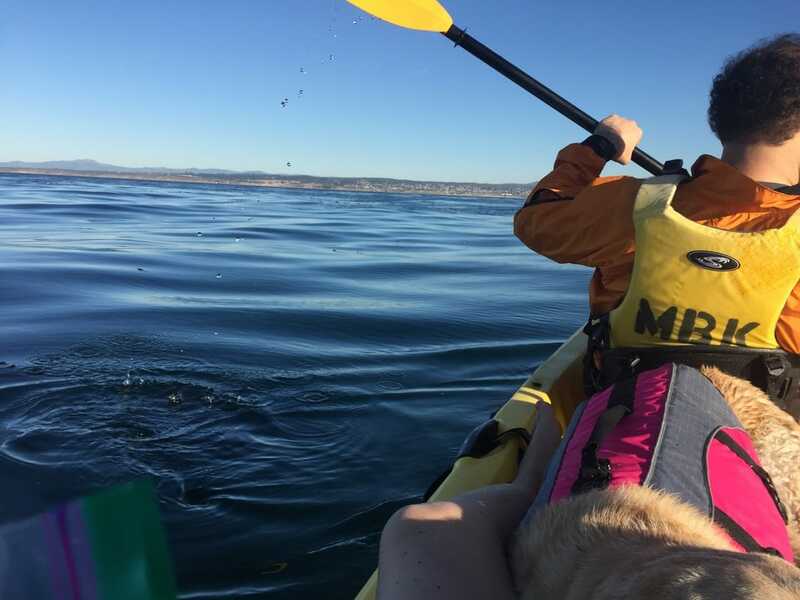 There were several spots in the water where the waves became stronger and we felt like we were on a gentle roller coaster, but luckily we never tipped over. 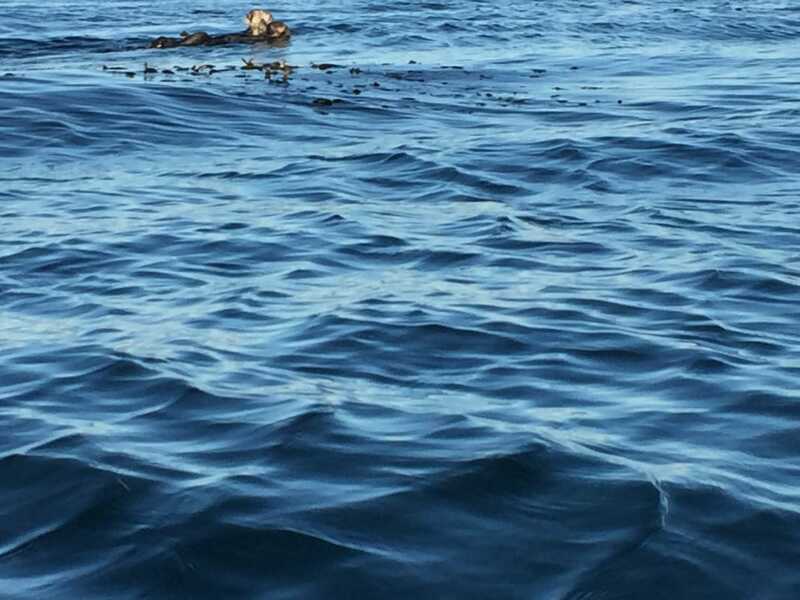 We saw hundreds of seals in the harbor and around the rocks surrounding it, and about 10 otters in the kelp near the aquarium. 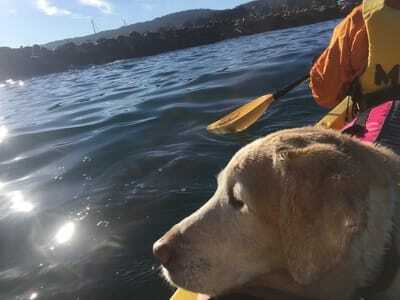 Bailey was interested in the seals, especially with all the noise they made, but mostly just laid down and enjoyed the ride. 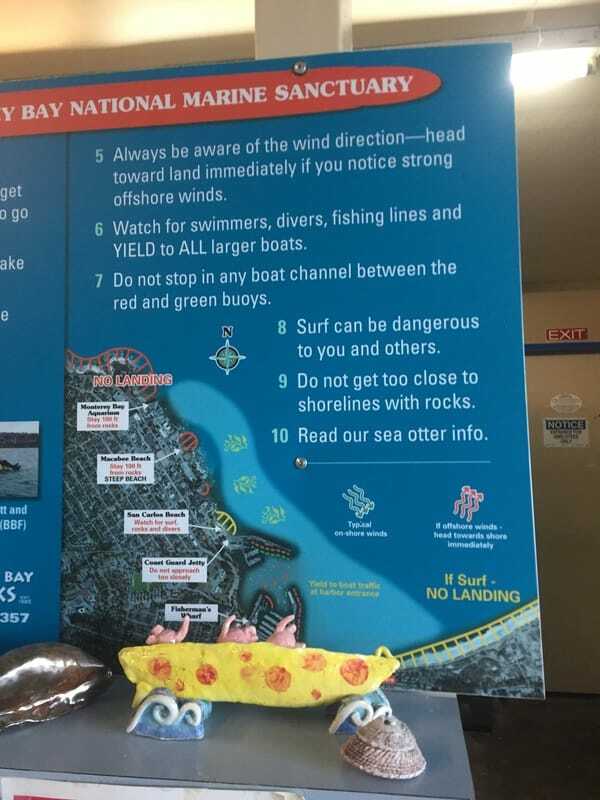 They ask that you stay 5 boatlengths away from wildlife. 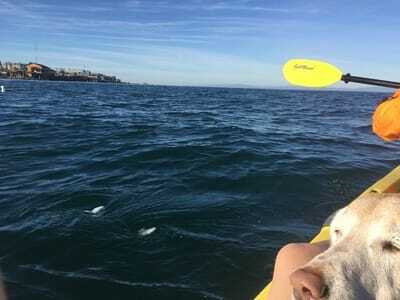 ​We spent about 3 hours on the water. 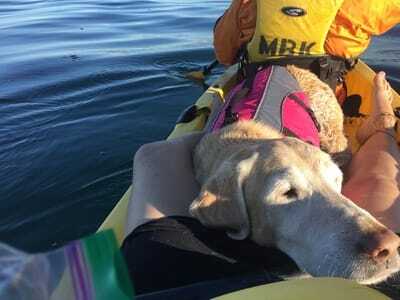 A double kayak is only $30 per person for an entire day, and dogs are free if they fit in your kayak, which is quite a deal! 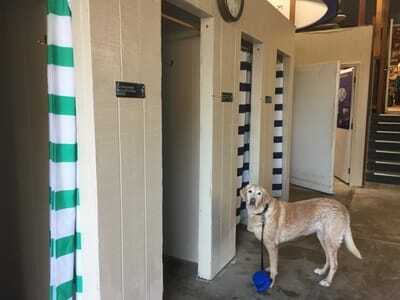 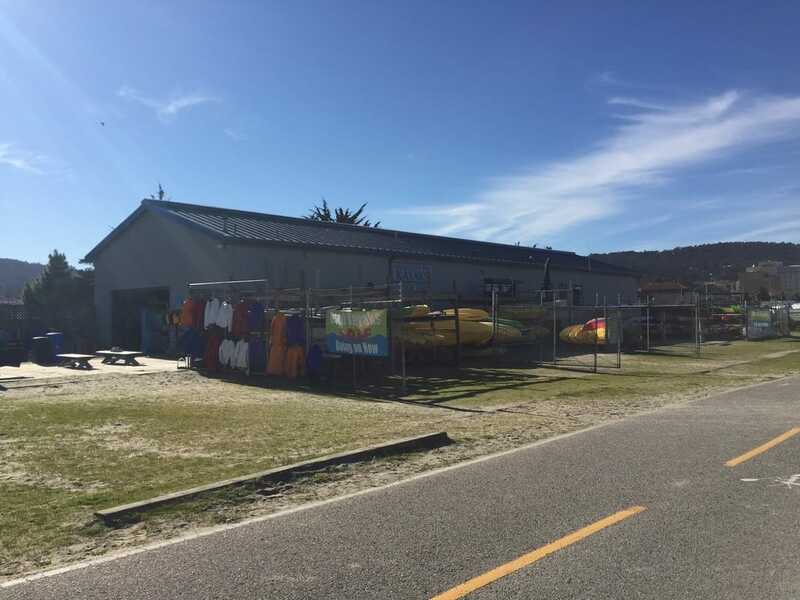 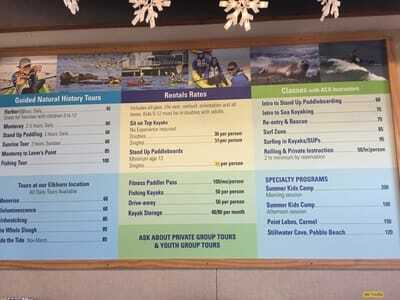 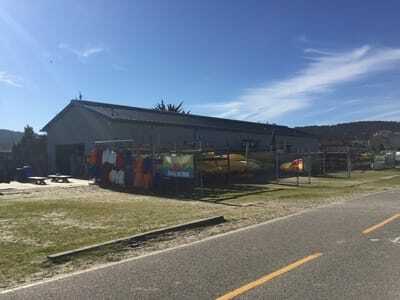 When you arrive, you will fill out some paperwork and then head to the back where there are changing rooms and you can borrow windbreakers and even wet suits. We previously kayaked in the bay and did not get wet, but this was a different experience and we got soaked. 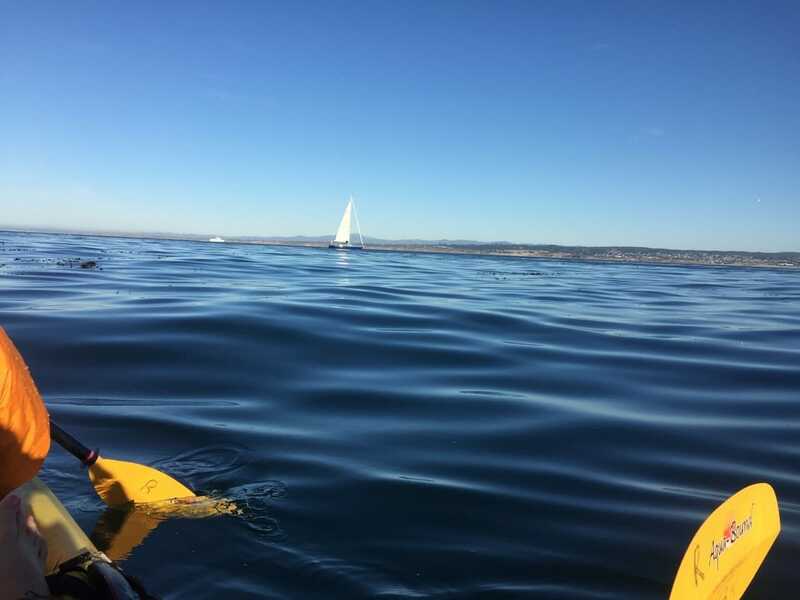 I would recommend borrowing a wet suit, because getting your boat in over the oncoming waves (even when they’re gentle), is a quite a feat and you will most likely get soaked as well. 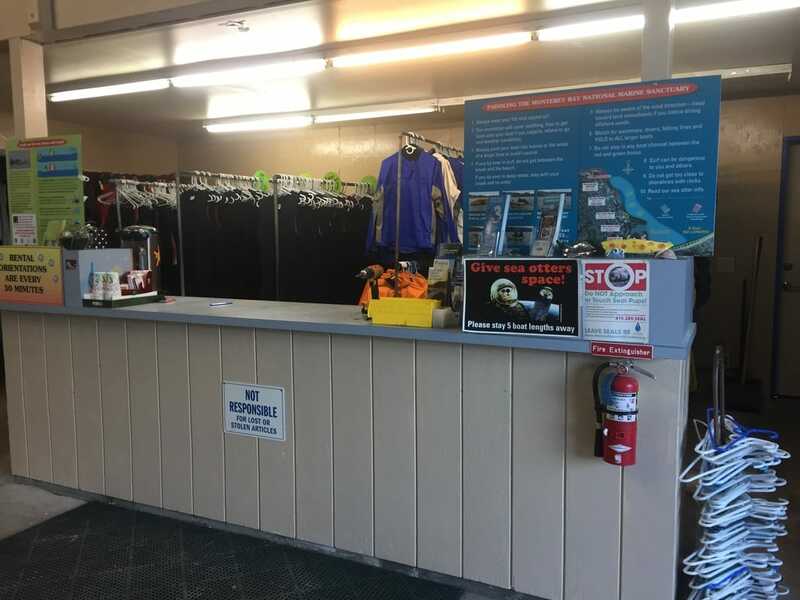 The shop offers bins to store your clothes and shoes, but they do not have lockers and recommend storing valuables in your car. When you return, they have barrels where you can rinse your clothes and a foot washing station. Bring towels and you can change back into your clothes in the changing room. 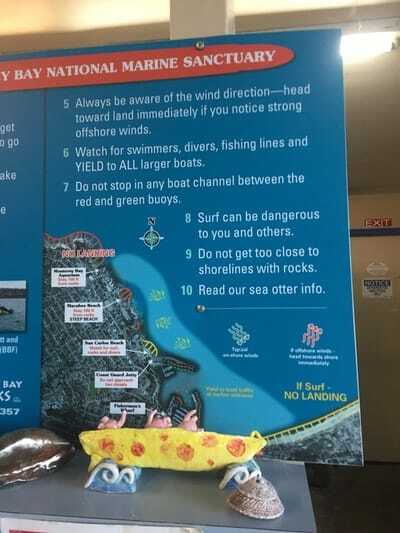 They do not rent out dog life vests, so make sure to bring your own. 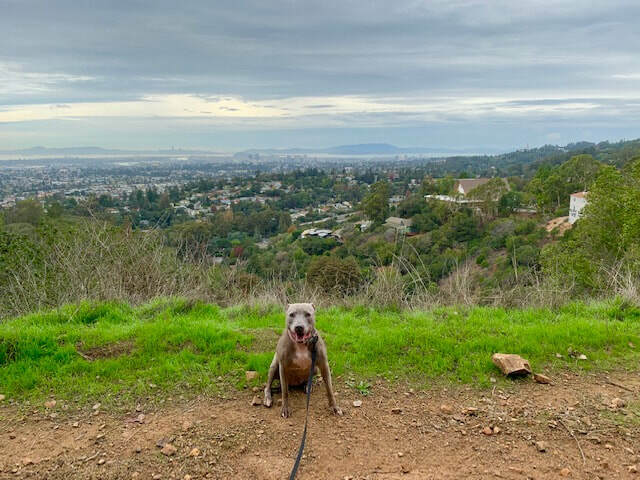 Afterwards, you can enjoy walking the shoreline trail outside the rental place, and your dog can romp on the beach (on-leash).